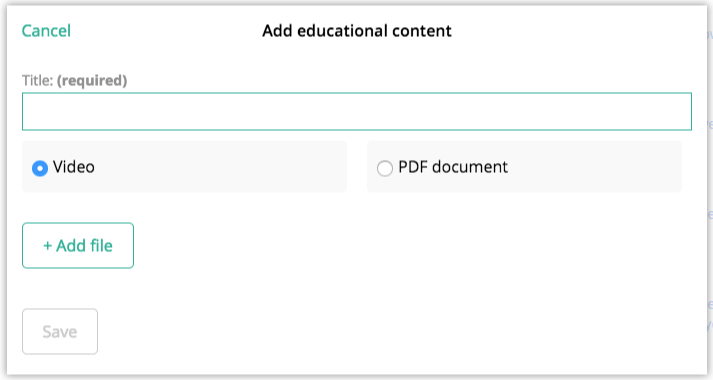 How do I add my own educational content to my library? Physitrack lets you add educational content to your library, which you can send to your patients alongside their exercise program. This applies to the web version only. Go to Library > Education and click the "+" symbol in the top right. Remember to click "Save" to add this document to your education library. If your content is not in the PDF format, you can use online conversion tools to convert your Word Documents to PDF. Here are a few services which we have found on Google. Please do not use these services to convert confidential or sensitive information, as we are not affiliated with them.